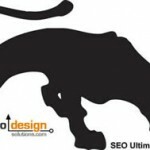 Does Your Business Need an SEO Company? Unless you have been living under a rock for the past 10 years or still use the yellow pages to find a restaurant, store location or library to research information, times have changed with the advent of search engines and (SEO) Search Engine Optimization. With over 60 millions Americans using search engines daily and those numbers steadily increasing, SEO, even in its infancy is becoming an invaluable asset for businesses as a viable marketing alternative. We are not suggesting to forgo any other forms of marketing and promotion, yet omitting a strong search engine optimization campaign for your business only exposes a weakness that your competition will surely exploit. Having the ability for your target audience to find use through the use of search engines presents an entirely new facet of potential for most businesses. In fact, the more specific the niche, the less competition online there is to challenge your ascent to the top 10 results. For example a company that provides metal stamping or GPS tracking equipment will have an easier time optimizing phrases than a real estate agent or electronics product in a competitive vertical market. We deal with clients from various industries, each have unique goals and marketing objectives. If you are starting from scratch with search engine optimization, it is important to target keywords and attainable phrases within your reach until your website gains some authority on the topic. After your pages and website have had the opportunity to create multiple online references through co-citation of other authorities, and funnel relevant traffic based on keyword continuity, search engines will start to send more and more related visitors from related keywords. This process if fostered properly takes 4-8 months of consistent application, or less time in some instances depending on the amount of trust your website has garnered from other sites linking to yours. Off page reputation (who and how other link to you) combined with the volume and quantity of information (on your pages) are what impact search engine visibility. For example a new site with fresh content and updates are indexed nearly instantaneously into the search engines index. On the contrary, sites that have not updated their content or made changes in weeks or months, lack the necessary signals to cue a promotion in the search engine result pages. The method of cultivating content on a platform that allows the company to disseminate useful information on the topic they seek to rank for (such as a blog or content management system), building quality links to augment their content and finding the most appropriate promotional method are crucial for long-term success. Structuring the content and promotional method utilized is typically based on competitive market intelligence, keyword research, market saturation and potential return on investment divisible by key performance indicators. 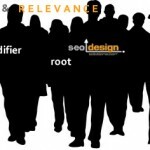 For example, by saturating a series of relative keywords that are relevant to your business model (either GEO specifically or nationally), a business/website is able to track and measure the impact of each keywords performance is what impact is has to the bottom line as a proponent of sales / conversion. Based on that feedback, you can elect to develop even more related landing pages to accommodate additional keywords and encourage even more conversion. Even the most successful websites that receive visitors in the millions each month had to start somewhere. It is imperative to build a foundation for each new layer of traffic (from 1,000-25,000 visitors, 50-100,000 visitors per month, etc.) as the process of momentum attracts a larger audience. Just think of a search engine as the best third party referral one could ever receive. If your pages appear editorially (in the top 10 organic search results), chances are your business will be instantaneously recognized as trusted and useful resource. On the contrary, if you can say what you will and lure and bait visitors with pay per click advertorial based marketing such as we are the best, top, leading blah blah blah company, etc. Unless your landing page is amazing and specifically designed to convert for a specific need, you would be better off with organic optimization (and using a series of landing pages with the same method). When you consider the cost of search engine optimization, most SEO pricing is typically less expensive than traditional radio or print advertising. Similarly, the benefits based on reach and exposure far exceed their respective dividends returned compared to traditional marketing budgets. The benefit of online marketing campaign is, the shelf life of a campaign can run for months and continually produce a return on investment. Once you have optimized a keyword successfully, it can hover in the top 10 search results for months and continually deliver relevant traffic back to your site. Keywords are either optimized and latent (until someone conducts a related search for the optimized phrases) or they are pure potential to capture market share. It depends on your marketing objective, however if you have the appropriate budget, the right team and the right method, any keyword or series of keywords are virtually attainable organically with the right method. Despite the industry or market you are involved in, exposure is a key factor of profitability. If your business cannot refine its message, reach and exposure to the appropriate audience, your business faces the possibility of extinction. The last thing a CEO or COO of a company needs to do is know what a meta tag, .htaccess file or robots.txt file is. They should excel in their core competencies which are leadership, organization and implementation of the companies core strategy. With the competition online becoming exceedingly more savvy each day, keeping abreast of the latest methods for search engine optimization and hedging your dependencies on one method over another are crucial to avoid losing your position from shifts in ranking algorithms. Each day thousands of new websites sprout up in in every industry imaginable in an attempt to siphoning market share away from those who have not optimized their websites. The worst thing any company can do is sit back and watch their competition devour a market whole while they simply sit idly by an stick with the tried and true waning traditional marketing methods. Timing is a critical component to optimization, in fact, many top ranking positions from websites are there as a side effect of being grandfathered into search results as their companies were precursors to search engines. For others who are no as fortunate, scaling the bell curve to overcome the authority of the next site above them is a task better served by someone who has a core competency engaging specific tactics to accomplish the goal. Hiring an in-house SEO is one alternative, but to each their own way, and one SEO may not be able to grasp or execute a series of needed steps like an agency. The extent of competence always goes back to results, in this market talking the talk means you had better walk the walk and be able to produce results and references (both for your own firm and your clients). The question is not “why your business needs an seo company“, the real question is, does your business need more sales, prospects or leads? If the answer is yes, then search engine optimization is a viable cost-effective investment. 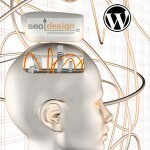 SEO Ultimate WordPress SEO Plugin Version 2.0 Released! Introducing – The Small Business SEO WordPress Theme! 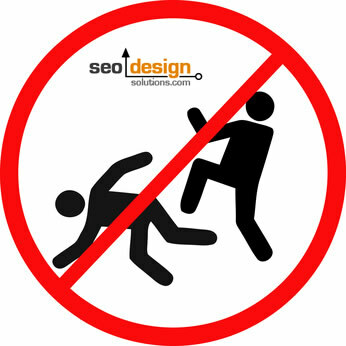 SEO is Never One and Done! 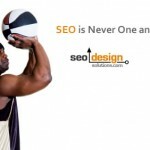 Does Your 2009 Marketing Budget Include SEO? 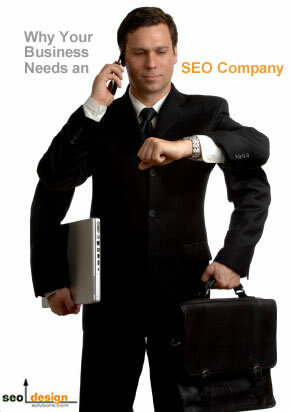 Jeffrey_Smith Jeffrey_Smith Does Your Business Need an SEO Company? Well said Jeffrey, I think that all businesses should adopt that mindset.